This brand new development project consists of 12 individual contemporary, sea view villas situated on the slopes of La Quinta. They are 7 premiere style villas, with internal built areas of between 590 and 820 m2, and between 4 and 6 bedrooms with en-suite bathrooms, panoramic style villas, with internal built areas of 900 m2, and 5 or 6 bedrooms with en-suite bathrooms. On top of that, there is 1 exquisite and exclusive paramount style villa, with an internal built with an internal built area of 1,080 m2, 6 or 7 bedrooms with en-suite bathrooms, and a plot area of 2,650 m2. 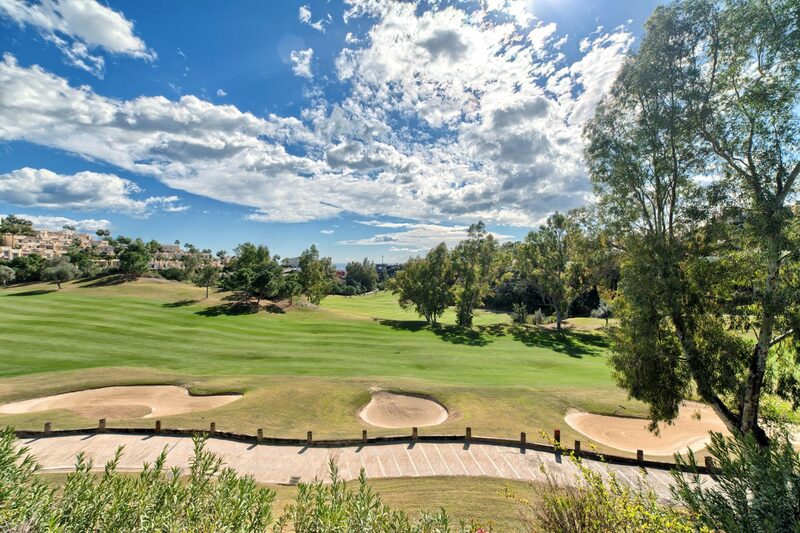 Just a few minutes from Marbella, the exclusive and privileged La Quinta area is a secure, gated, residential and golfing community. La Quinta is considered to be one of the best areas in Marbella and this unique construction project will be a private gated urbanization within walking distance to some of the best golf courses on the Costa del Sol and very close to local amenities. Low-density living, privacy and harmoniously embedded into the surrounding countryside are characterizing your new home as well as wide panoramic views from every villa, overlooking spectacular natural scenery and opening up to the Mediterranean Sea, Gibraltar and North Africa. The villas have been designed according to the latest technologies. Floor to ceiling window walls are intertwining with the interior beauty and the impressive external ambience.